This weekend is HOPE XII. 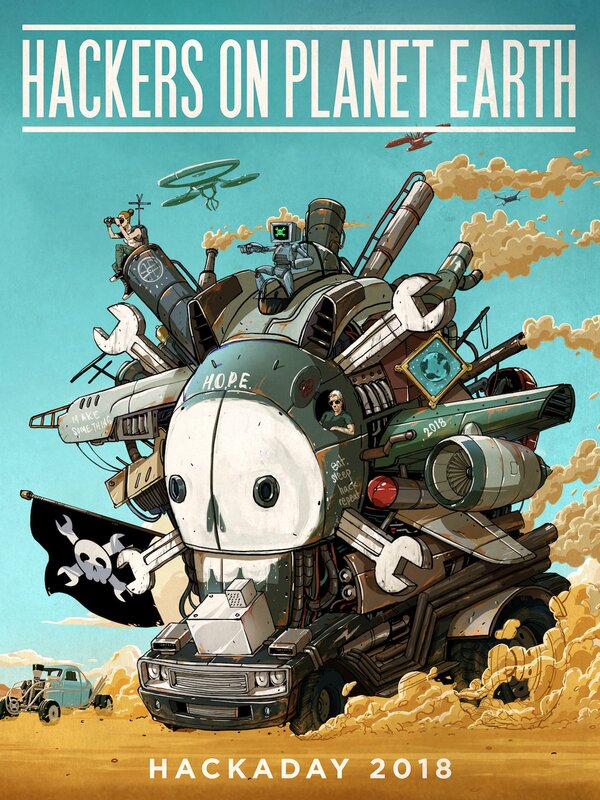 The Hackers on Planet Earth conference is a biennial event held in New York City. The Hackaday Crew is making the pilgrammage to this event and you still can too! Tickets are available at the door. Come find us at a table in the vendor area — we’d love to see some hardware projects so bring those along! If you can’t make it to the event, you can still help guide our reporting. Check out the schedule for the weekend and help recommend what talks we should be at, just leave suggestions in the comments below. Oh yeah. Hacker cons have been TED long before TED. It’s always weirded me out that folks get so frothy over TED when these things have been happening, and posting videos, for decades. I’ve been to several HOPE conferences. You see one, you’ve seen them all. It’s definitely worth going to one HOPE, but going to more than one is a waste of time, effort and money. Admission is now $180. More than double of what it was in the past. Note that talks can be seen on Youtube several weeks later. Anything time sensitive can be read/learned about on the Web. I’d rather spend my money on something I’ve never been to before and ones with better reputations like DEFCON or BlackHat. Honestly, if that’s your best case for not going (that you can see videos and read about it online), then you might as well just never leave the house. And my only problem is as a member of the NYC user grouping and planning on participating in the small meet towards the end of the Saturday, I’m out of it because they think people will want to waste $180 on the full three days..
Mike why not confuse them to make things available for those of us like myself? I’d more want to spend the afternoon from 1 all the way to 5 helping out, plus the hour that the boss lady for the group wants…..